Home Ink Cartridge News Happy Birthday Elijah Wood! Elijah Jordan Wood was born 35 years ago today! Happy Birthday Elijah Wood from Ink n Toner UK! Elijah Wood is best known for his role as Frodo in Peter Jacksons Lord of the Rings trilogy, as well as his small role in the Hobbit. He began his career as a teenager, working on roles in The Ice Storm, Deep Impact and The Faculty, but his career boosted when he landed the role as Frodo. Since then he has had roles in Eternal Sunshine of the Spotless Mind, Sin City and Green Street, and well as some voice acting. He voiced the lead role in Happy Feet and Happy Feet Two, voiced Spyro in the Legend of Spyro trilogy, as well as Sigma in the Rooster Teeth online series of Red vs Blue. To celebrate the birthday of this incredible actor, why not join us here at Ink n Toner UK in printing out the Lord of the Rings: The Fellowship of the Ring movie poster! Need ink or toner cartridges to print out your Lord of the Rings: The Fellowship of the Ring poster? Well here at Ink n Toner UK, we’re dedicated to providing you with the ink and toner products you need for the most affordable price. Click here for ink cartridges and click here for toner cartridges. 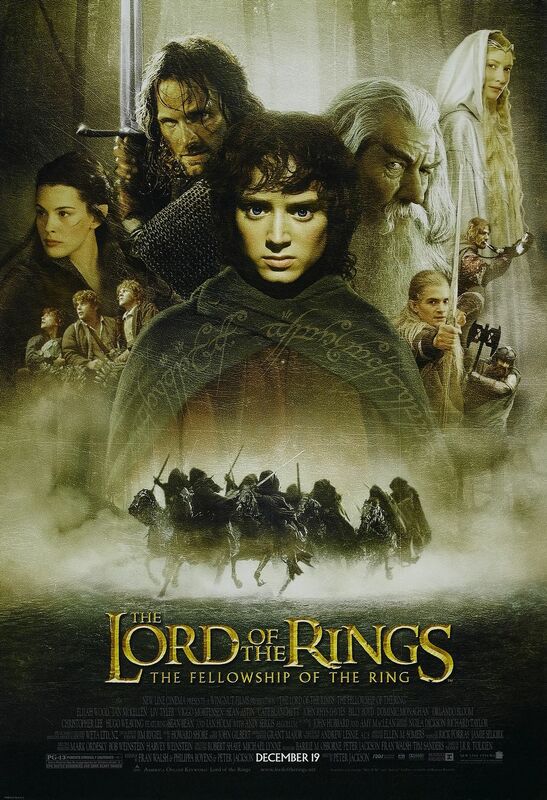 Click the image below to print out your Lord of the Rings: The Fellowship of the Ring poster!